Bob Smallwood is thankful for second chances. 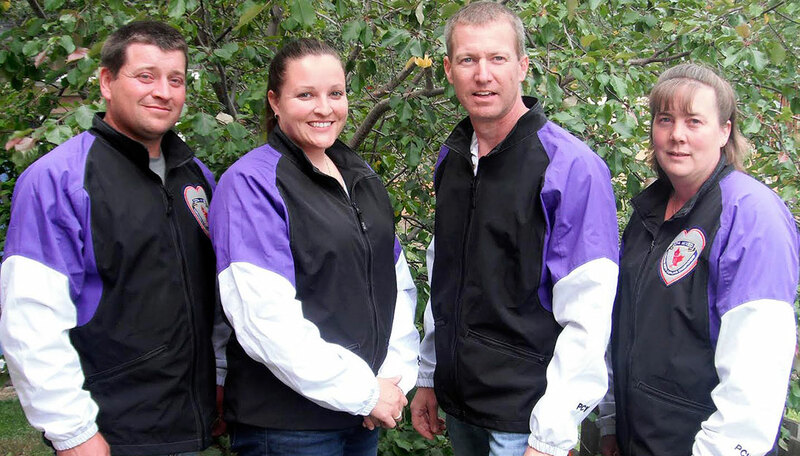 Team Yukon’s skip at last year’s Canadian Mixed Curling Championship in Ottawa was unable to lead his team out of the preliminary round and into the main draw. This year, that hurdle has been eliminated from the event, meaning Smallwood and his new-look Yukon rink are guaranteed a week full of curling in North Bay, Ont. The national championship gets underway Monday at the North Bay Granite Club. The 40-year-old said the direct entry to the main draw is a welcome change for smaller jurisdictions. “In this type of format, you can have two bad games and still be one of the top two, three or four teams in Canada,” Smallwood said. Like last year, Smallwood will skip with his wife, Jody, at lead. Changes see Nicole Baldwin in at third and Wade Scoffin at second. “We’ve played several games together in the Tuesday night league,” said Baldwin, who led the Yukon to the mixed nationals in 2007. This year marks the 52nd edition of the mixed championship, which began in Toronto in 1964 and has been won a leading 10 times by Alberta – the latest coming last season when Darren Moulding skipped his team to victory last year. The championship has undergone significant format and competition changes, however. Now, 14 teams (10 provinces plus Northern Ontario, the Northwest Territories, Nunavut and the Yukon, representing all of the Canadian Curling Association’s member associations), instead of 12, will compete in the main draw. They have been seeded and separated into two pools of seven teams (based on their mixed win-loss records the past three years) and will first play a round robin within their respective pools. At the conclusion of the round robin, the top four teams in each pool will advance to the championship round, playing teams from the opposite pool, and carrying forward their win-loss records for only those games involving the advancing teams. Meanwhile, the bottom three teams in each pool will play for seeding, competing against the three teams from the opposite pool. This will determine rankings for the 2016 mixed nationals in Toronto. Semifinal games will take place Saturday morning followed by the final that afternoon. The winning team will represent Canada at the 2015 World Mixed Curling Championship, Sept. 12 to 19 at a site to be announced by the World Curling Federation. “I like how they’ve changed it and everyone gets to stay,” Baldwin said of the elimination of the preliminary draw. Among the notable participants this year is Jamie Koe of Yellowknife. Koe, an eight-time Brier veteran making his fourth mixed appearance, will be seeking a first title for the Northwest Territories. His twin sister, nine-time Scotties skip Kerry Galusha, will play third. Every province, plus host Northern Ontario, has won at least one Canadian mixed championship since 1964. Northern Ontario has three titles, the last by Chris Johnson in 1997 in Kindersley, Sask. Over the years, mixed nationals has been won by well-known curlers such as Jeff Stoughton, Kevin Koe and Shannon Kleibrink – the only female to win the mixed as skip, in 2004 in Schumacher (Timmins), Ont. Team Yukon will fly to Toronto Saturday, and from there will take a bus to North Bay, located four hours north of the Ontario capital. The local rink will face New Brunswick, Alberta, Quebec, British Columbia, Manitoba and the Northwest Territories in round robin play.